The good news is that childhood obesity can be prevented. In honor of National Childhood Obesity Awareness Month, Advanced Urgent Care encourages your family to make healthy changes together. 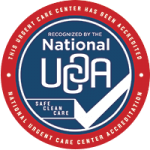 For more information, visit Advanced Urgent Care In Brighton, CO or call us at 303-659-9700.